Materials and Care: Polyester/Rayon/Nylon. Hand wash cold, line dry. A costume so cute it'll make you lose your head! Sorry - bad joke. But it's true this Marie Antoinette costume is gorgeous! 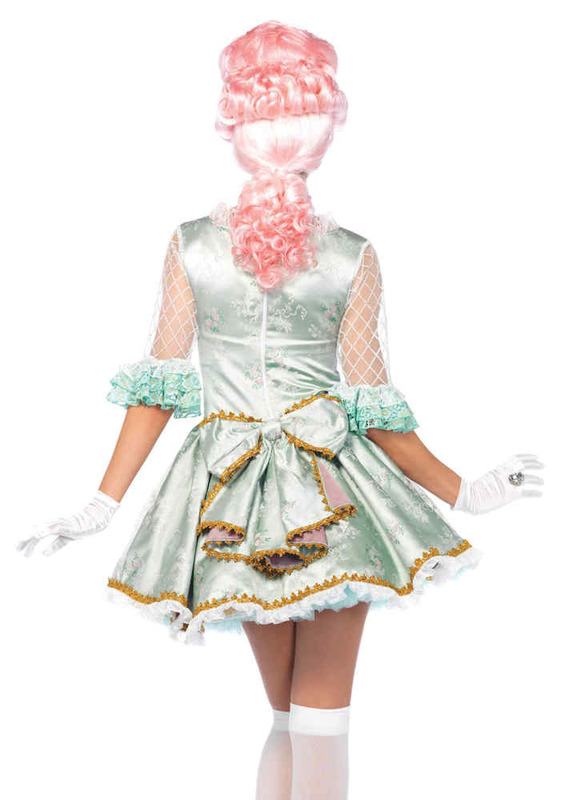 Luxurious mint green satin mini dress fit for royalty with lace inset on the bodice, three-quarter lace trimmed see-through sleeves, removable oversized back bow, and gold choker. Petticoat not included. Dress zips down the back. Our custom size chart for this costume can help you decide between Women's S, M, and L.